Well all the salmon rivers are going up and down with massive flows and huge amounts of rain in the back country.This will surely change the channels and perhaps create a few good holes.The question is what will happen to all the young smolts in the rivers systems at the moment? big floods tend to help smolt transition to salt water better because of the large volume of fresh water flowing out also discoloured water should protect them a bit as they adapt to the new environment. got my bag limit of salmon 2 days in a row last weekend..took 40 mins each day..5 for the season so far so the best start i have ever had..didnt do the season last year but have got the motivation for it this season..will post pics once i get my damned laptop working..
@shark slayer where did u get ur bag limit? Not sea Salmon but had good time at the Tekapo canal today. got about 7-8 Salmon around 2-4lb which where released plus a 10lber and 6.5lber which where kept. Too thrashed and the fish are tops 6lb. Yeah The Tekapo Canal is fishing really well, most people had their bag limits of Salmon yesterday. A shame they have closed the canal road though as you have to go the long way now. i’m looking at heading up to the Tekapo canals on Friday and was wondering how you access these canals as I have heard the main canal road is locked? Yeah is closed at the Tekapo end, You have to drive along the highway towards Twizel Then turn onto Hayman road then on to Tekapo canal road and the road is open for 6km. best fishing is at the end of the stilling pond near the spill gates. 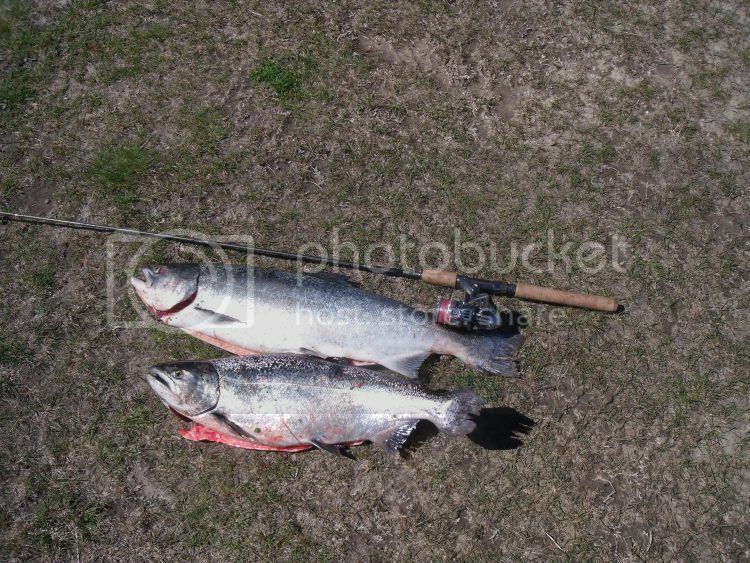 Are you guys catching salmon on trout rods? Must be a lot of fun on light gear. Occasionally they are caught in the Waitaki on trout gear.